Almonds covered with a thin candy layer. Available in pastel assortment or white. 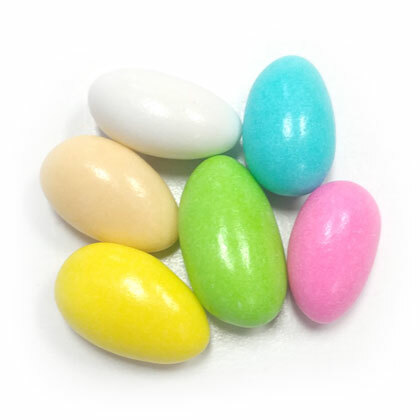 The perfect candy coated almonds for favors! 1 pound. Approx. 7 per oz. Available in pastel only - white is out of stock.